A place I had been dying to see, but knew I’d have a hard time convincing the rest of my family to visit, was Liliesleaf Farm. So when my sister in law, who is always interested in such things, was recently visiting, we took the opportunity to go check it out. By the way, I always thought it was spelled Lilieslief, which somehow seems more Afrikaans, but I have since seen that it is spelled both ways. I’ll go with the spelling used by Wikipedia and the Liliesleaf Trust. 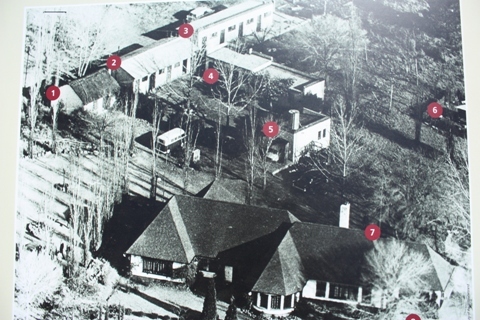 Liliesleaf Farm was where Nelson Mandela, after the founding of the militant arm of the ANC, Umkhonto we Sizwe (Spear of the Nation, also called MK), was hiding and plotting for a time before being captured. It is not a far drive from where we live, located in the suburb of Rivonia, which back then was more on the outskirts of town but of course now is surrounded by the city. It was only recently restored and made into a museum, in fact, I think it might still be in the finishing stages as some exhibits weren’t open yet. Therefore, it is one of Joburg’s lesser-known tourist attractions and we had the place pretty much to ourselves. ﻿ I’ve lately been laboring through Nelson Mandela’s Long Walk to Freedom. I say laboring because it is a long book, and a bit dry to read, what with all the people involved in “the struggle” that he mentions at one point or another and all the twists and turns of his personal story. It’s really another one on the South African must-read list, but I admit that I haven’t been making great progress. Going to Liliesleaf Farm gave me a good jolt and I’ve now resumed with more vigor, because it brought the story to life so well and provided me with the faces and life stories of the collaborators described in the book. There is Bram Fischer, whose name I’ve been intrigued with since we moved here because I kept driving along Bram Fischer Drive in Randburg on my various errands.He was a lawyer of Afrikaner descent who pretty much gave up his heritage and allegiance to fight alongside Nelson Mandela and others against the apartheid regime. 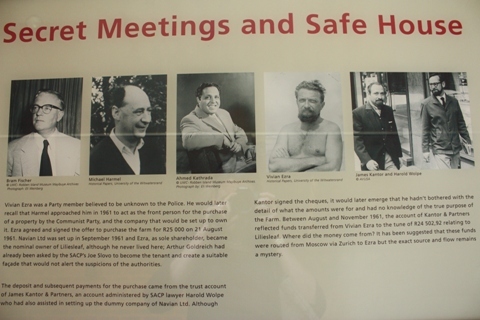 Then there is Arthur Goldreich, who was instrumental in providing the cover for MK at Liliesleaf by posing as the white farmer overseeing black laborers, while in secret plotting with these very laborers how to commit acts of sabotage against the government. And there are all the other men who were arrested during the infamous raid at Liliesleaf Farm on July 11th, 1963. Goldreich, along with Harold Wolpe, another member of the South African Communist Party, managed to escape from custody, and I think one was acquitted, but the others were accused of treason at the so-called Rivonia Trial and sentenced to life in prison. The rest of the story, of course, is well known. Nelson Mandela was finally released in 1990 and was elected the first president of a free South Africa in 1994. 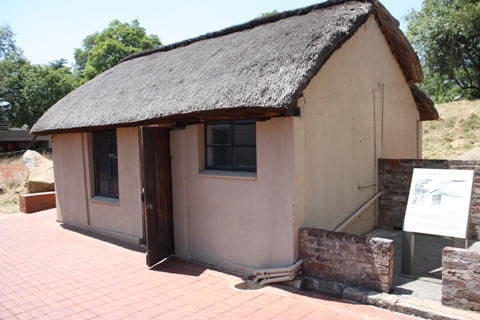 To learn what became of all the others, visit Liliesleaf Farm! One entirely new piece of history I learned at Liliesleaf was the story of the Secret Safari (a documentary film telling this story, “The Secret Safari,” was made in 2001, directed by Tom Zubrycki). 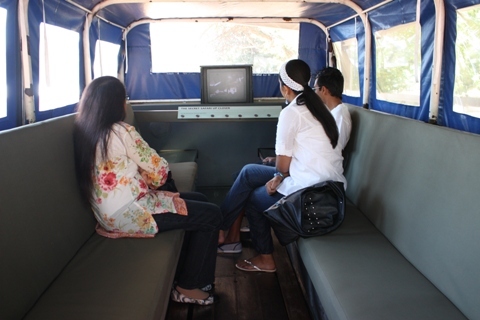 An actual truck is tucked away in a corner of the estate, which you can climb atop to watch movies about its history. 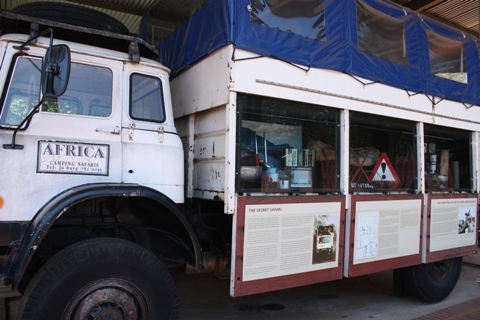 It is the very same truck used by Africa Hinterland, a decoy safari company used to smuggle arms into South Africa to assist the armed struggle. The drivers, who were recruited from various countries, were in on the plot, but the participating tourists had no idea that the whole thing was just a charade, probably having the adventure of a lifetime. 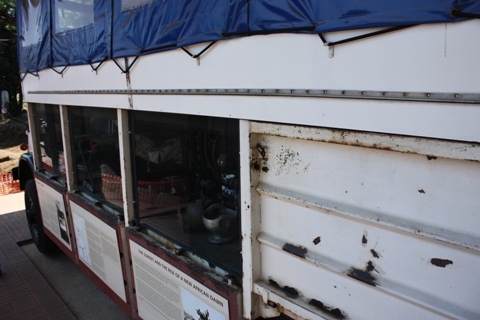 …and see where the weapons were hidden below. ﻿ It’s easy to forget that South Africa’s amazing history is so very recent. The trips of Africa Hinterland didn’t stop until late 1993, when it became clear that elections would soon be held, giving hope to a peaceful resolution to the conflict that ravaged South Africa in the years after Mandela’s release. In fact, if you watched the recent movie “Bang Bang Club,” you will get a good understanding of the violence of those years. The drivers, or rather arms smugglers involved in the Secret Safari were my age, or even younger, when they undertook this risky business. Yet I had no idea this was happening in another part of the world. 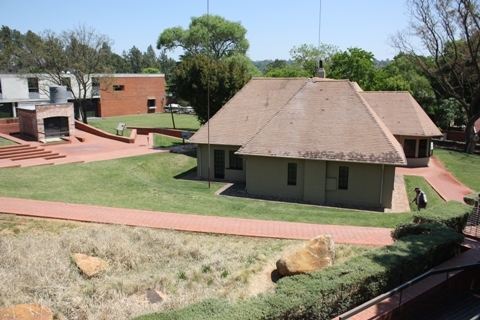 Visit Liliesleaf Farm Museum – two hours is ample time to watch the short movie and visit all the sites, unless you want to relax on the beautiful patio afterwards for a cup of cappuccino – and you will go home with new appreciation of South Africa’s intriguing history. Next PostNext Corruption or Culture?